This is the Hearth Lift Furnace. 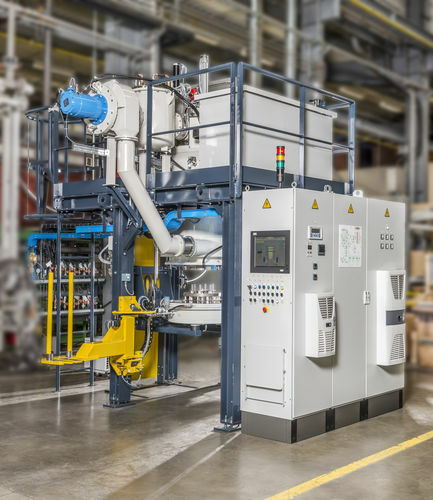 The possibility exists to select for the direction of the quench flow as well as its programming which makes this furnace particularly suitable for cylindrical and technical pars that are of a large dimension. The small size facilitates and the integration on site contribute to machine's value. This system is mainly used for Hyper quenching Brazing, Steel tool quenching. 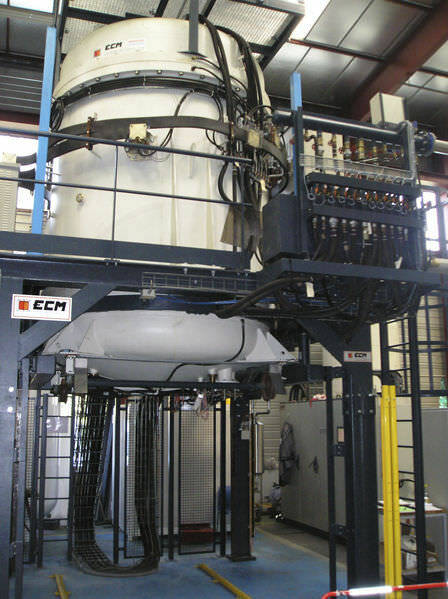 The main options are as follows secondary vacuum mono or multi flow quenching, reduced pressure carburizing. Dimensions available are: (Typde Vertical Ø x H) Diamant 50-60: 600 x 1000, Diamant 60-100: 600 x 1000, Diamant 80-150: 800 x 1500, Diamant 120-120: 1200 x 1200, Diamant 150-150: 1500 x 1500, Diamant 200-200: 2000 x 2000.